Future Museum artists in 2017: Ovidiu Anton, Anetta Mona Chisa & Lucia Tkáčová, Andrei Ujică. All are Romanian contemporary artists living in Europe, due to their political and economic migration and alienation. In 2017, the Future Museum’s dramaturgy centres around this group of Romanian émigré artists, each of whom were born in Romania and then either settled in another country or spent many years abroad. On May 18 2017, the spring season of the museum will opened with Ovidiu Anton’s first solo show in Romanian. Works by Anetta Mona Chisa & Lucia Tkáčová will opened the summer season at the beginning of July and the series will close with an exhibition of the film director Andrei Ujică. For the gallery, these migrant or emigrant artists’ experiences of two or more cultural frames give them particular insights, perspectives from which to perceive political, sociological and cultural phenomena differently. This series of exhibitions also aims to underline the contemporary global geopolitical changes which we have been facing since the 1990s, in which visual artists are also participants. Born in Timişoara, Ovidiu Anton (1982) now lives and works in Vienna, Austria. The main focus of his often political art works is that of highlighting the paradoxical nuances of the world around us. His work has been presented internationally, in major exhibitions by leading museums and galleries including Koenig 2, Vienna (2017), Kunsthalle Bern (2016), GrazMuseum (2015), OFF-Biennale Budapest (2015), MAK in Vienna (2015) and Tobacco 001 Cultural Centre in Ljubljana (2014). Artistic duo Anetta Mona Chişa (1975, born in Nădlac, Romania) & Lucia Tkáčová (1977) are returning to Bucharest with their first joint solo show here, for the first time six years, a time in which they have expanded their visual vocabularies and shifted their political and personal interests, focusing more on the fragility of relationships in the world. A key turn-of-the-century Romanian film director, Andrei Ujică was born in Timișoara in 1951, studied literature and emigrated to Germany in 1981. There, in collaboration with Harun Farocki, he created his first film, Videograms of a Revolution – a montage film created from over 125 hours of amateur and news footage – which would set the style for all of his future films. Although Ujică is a filmmaker, his works often appear in gallery contexts, such as the Marble Palace, St. Petersburg (2016), MoMA PS1, New York City (2014), the 16th Sydney Biennale (2008), and the Kunstraum Kreuzberg / Bethanien, Berlin (2005). An additional event was presented in 2017: Black Hyperbox, lectures and book launch. Black Hyperbox is a dimension of productive alienation from concepts through experience and from experience through thinking. It was initiated by Florin Flueraș and Alina Popa in 2015. Black Hyperbox started as a frame for performance and text based on the alienation between practice and conceptualization. 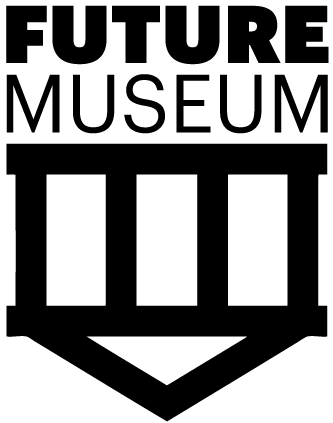 Future Museum artists in 2016: three projects were selected after an open call was launched, to be produced and exhibited in 2016 by Future Museum. One of the main goals of the selection was to exhibit artists coming from regional cities in Romania and from the Republic of Moldova. The artists who have been granted the opportunity to realize an exhibition in the space in 2016 were: Mona Vatamanu & Florin Tudor, Tatiana Fiodorova and Anca Raluca M.
Katarzyna Krysiak (b. 1977) is an art historian and a curator. She studied history of art at the Department of Philosophy and History at University of Łódź. Since 2008 Director and Chief curator of the Foksal Gallery in Warsaw where she curated numerous exhibitions e.g. Birosław Bałka, Nahum Tevet, Bianka Rolando. Member of the Polish Section of AICA. Alexandru Polgár (b. 1976) has studied philosophy and political science. A founding member and an editor of Philosophy & Stuff (1997-2000), he worked as an editor of the Balkon contemporary art magazine in Cluj, and currently is an editor of IDEA arts + society. As an author of contemporary philosophy, he wrote essays such as ‘Liberal-social-fascism (? )’ and ‘The Communist Remainder’. In 2009, he co-edited with Adrian T. Sîrbu the collective volume Genealogies of Post-Communism. In 2013 he published a first book titled The Difference between Heidegger’s Concept of Market and that of Granel (IDEA publishing) and dedicated to the globalizing essence of capitalism. František Zachoval (b. 1979) is an arts and culture manager, publicist and artist. In 2006 he co-founded a digital archive of contemporary art Artyčok.TV. He was a member of the Department of art history at the Academy of Fine Arts in Prague (2009-2014). In 2010 Zachoval founded the publishing house The Karte devoted to artists and theorists from Central and Eastern Europe. Recently published articles/texts: ‘Rekonstruktion’, Rudolf Valenta. Rekonstruktion (ed. Alexander Peroutka & František Zachoval), The Karte, Berlin, 2015; ‘Confrontation Is Through The White Cube’; ‘Real Outlines Of The Past’, The Home Of Jewellery (ed. Otto Künzli), Akademie der Bildenden Künste, Munich, 2014.